Carl Harold Thieman Sr.87, of Waterford, Ohio, went home to be with his Father in Heaven on March 27, 2017 after a prolonged illness and lengthy stay at Heartland of Marietta. Carl was born November 7, 1929 in Churchtown, Ohio, to Harold Joseph Thieman and Amelia (Lang) Thieman. He was a life-long farmer and even left school early on to tend to the family farm with his father, while his elder brothers were in the military protecting our country. Besides farming, Carl was a man of many trades, including being the head of a silo gang who worked out of the old Marietta Concrete Company. For 30 years, he worked at Globe Metallurgical (then Interlake Steel). After retiring from Globe, he worked as a diesel mechanic for various local trucking companies. He was a member of St. Bernard Catholic Church, in Beverly, Ohio. He married his wife, Martha Louise Anderson, on October 21, 1952 at St. John the Baptist Catholic Church in Churchtown, Ohio. 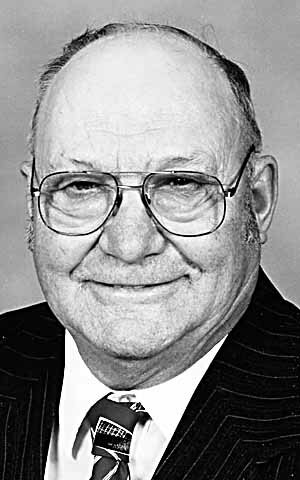 He is preceded in death by his wife, Martha; his parents; one brother, Ralph Thieman; two sisters, Mary Lou Carpenter and Edna Huck; one son, Carl Thieman Jr. and one grandson, Carl D. “Bubby” Tyson II. Carl is survived by one brother, Earl Thieman of Lowell, Ohio; and one sister, Eleanor Decker of Marietta, Ohio; his children Kathy (Howard) Ross of Beverly, Ohio, Dana (Angie) Thieman of Hamilton, Ohio, Beth Tyson (and friend Greg) of Belpre, Ohio, and Jennifer (John) Gohlke, of Beverly, Ohio. He is also survived by 10 grandchildren, Serina Shilling, A.J. (Tonya) Johns, Amy (Robert) Starnes, Jay and Seth Thieman, Nathan (Brittany) Tyson, Ashley (Josh) Steed, Katie Tyson, Adam Schilling (Katrina), and Jacob Schilling (Hali). In addition, Carl is survived by 10 great-grandchildren, Nickhole Shilling, Todd Burer, Tyser Shilling, Lane and Luke Johns, Annalyse Thieman, Hayleigh and Nathan Tyson Jr., Ryker Steed, and Cole Schilling and two great-great grandchildren, Serenity Weigand and Baby Boy Burer, and numerous nieces and nephews. He also leaves behind a very dear friend, Virginia Morris of Heartland. Funeral services will be held at 10:00 am on Thursday, March 30, 2017 at St. Bernard Catholic Church in Beverly, with Monsignor Robert Kawa officiating. Burial will be in St. Bernard Cemetery. Friends may call 2-4 and 6-8 pm on Wednesday at McCurdy Funeral Home in Beverly with a rosary service to be held at 8:00 p.m. Online condolences may be made by visiting www.mccurdyfh.com.